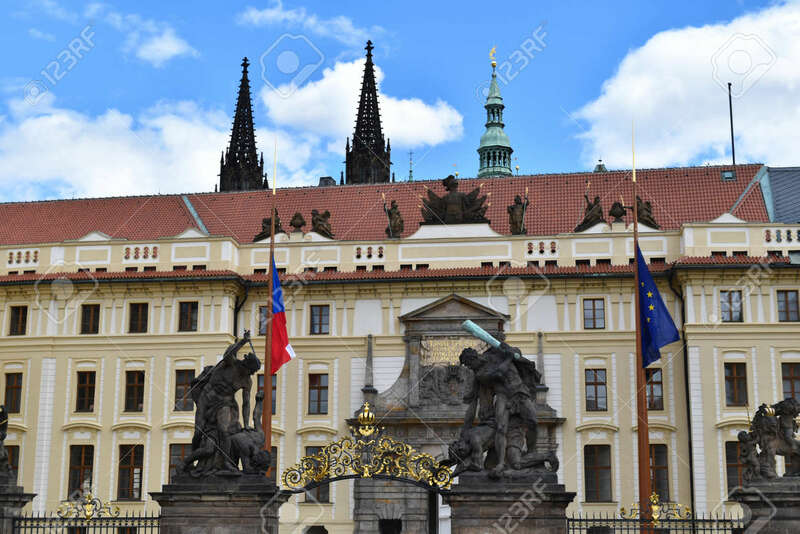 The Palace At The Main Entrance Of The Castle Of Prague In Czech.. Stock Photo, Picture And Royalty Free Image. Image 93848913. Stock Photo - The palace at the main entrance of the Castle of Prague in Czech Republic. The palace at the main entrance of the Castle of Prague in Czech Republic.